It’s no secret that Real Madrid are interested in Bayern Munich’s striker Robert Lewandowski. But who isn’t? The reports in Spain suggested that Real Madrid are leading the race for Bayern Munich striker Robert Lewandowski. The Poland international joined Bayern Munich from Borussia Dortmund on a free transfer in July 2014. His contract expires in the summer of 2021. 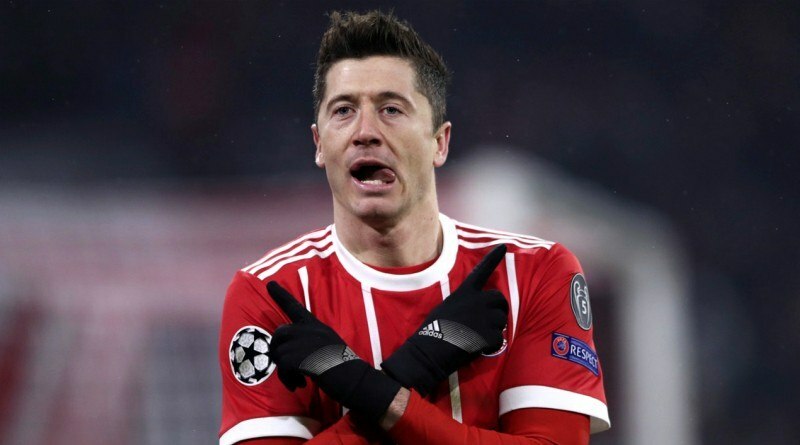 Since his arrival from Borussia Dortmund, Lewandowski has scored 139 goals and provided 34 assists in 181 games for Bayern Munich, including 29 goals and four assists in 34 games in all competitions this season. The 29-year-old is considered to be the best striker in Poland. His record for Poland is also impressive. Lewandowski has scored 51 goals in 91 matches for Poland at senior level. Florentino Perez wants to sign a new striker and Robert Lewandowski is one of the names at the top of his wishlist. Real Madrid have been impressed by his performances this season and could make a move in the coming transfer window. The Spanish giants will be desperate to make an impact in the summer transfer window. Bayern Munich would be wise to keep the Poland international, but if they do let him go expect it to be for a hefty sum. Real Madrid are reportedly facing competition from Chelsea in their pursuit of Lewandowski. It will be interesting to see what happens when Real Madrid come calling for Robert Lewandowski in the summer.